Kadi was born and raised in Grand Cayman and has a long family history in Cayman dating back generations. Kadi completed her undergraduate degree in Accounting from Warner University in 2007, followed by a Masters in Accounting and Taxation from Florida Gulf Coast University in 2008. She qualified as a Certified Public Accountant (CPA) in 2010. Kadi and her family’s love of tea sparked a desire to turn a hobby into a business. Kadi loves to travel and volunteer, but most of all she loves her new role as a full-time Mom. She is past President of the Kiwanis Club of Grand Cayman and Site Coordinator for the annual Kiwanis Key Leader Weekend. 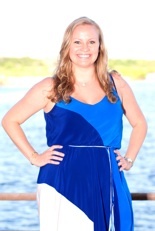 In 2014, Kadi was awarded the Young Caymanian Leadership Award and likes to stay active in Cayman's community. On a typical day she drinks Royal Affair or Super Zen in the morning and Caramelicious or Hibiscus Vanilla Delight in the afternoon. Kelli relocated from Vancouver, Canada to Grand Cayman in November 2009 and fell in love with the island once she stepped off the plane. She completed her undergraduate degree in Commerce at the University of Victoria and a Masters in Professional Accounting at the University of Saskatchewan, and qualified as a Chartered Accountant in 2008. Kelli’s love for tea was developed from a young age as tea time was a family ritual growing up on Vancouver Island and she is excited to bring a hint of West Coast flavour to Cayman. Besides working hard as a Director at PwC, Kelli loves working out and golfing. On a typical day she drinks Super Zen or Go Green in the morning and Oh Natural - Peppermint in the afternoon.